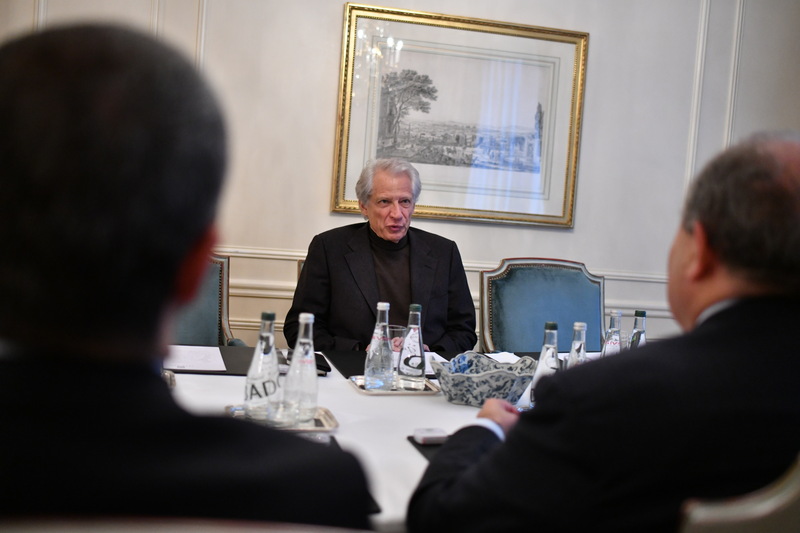 In the framework of his working visit to Paris, President Armen Sarkissian met with the former Prime Minister of France Dominique de Villepin who is different periods of time was also foreign minister and minister of internal affairs of France. 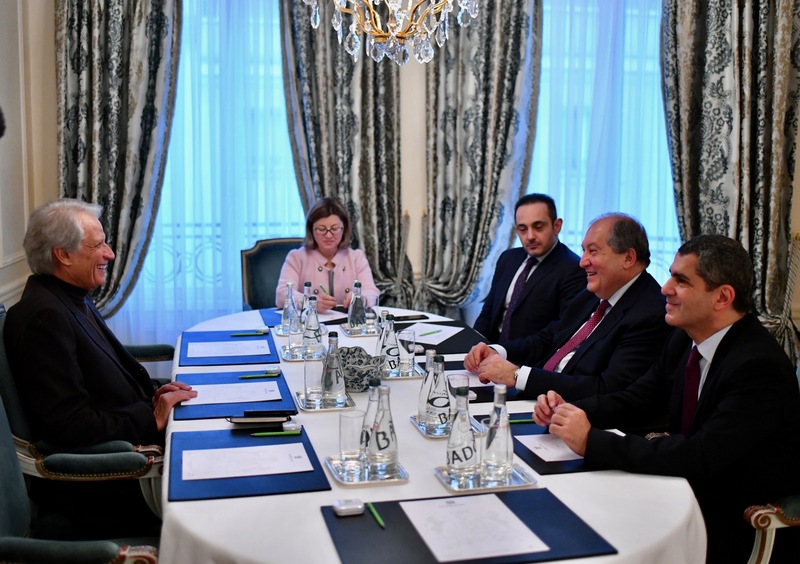 President Armen Sarkissian and the seasoned state and political figure exchanged views on the international politics and security, spoke about problems and challenges existing in the South Caucasus region. 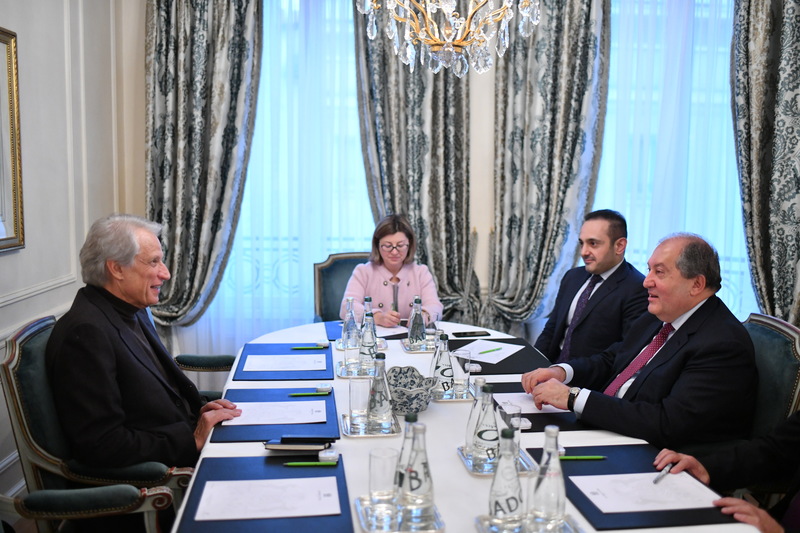 Armen Sarkissian spoke also about the programs and preliminary initiatives which he pursues and noted that they were pointed into the future and were aimed to make Armenia a center of modern technologies and startups. 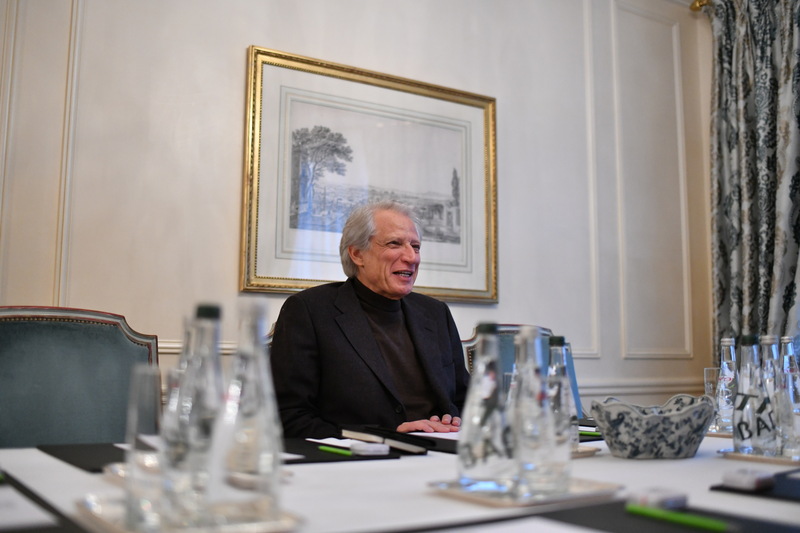 The President of Armenia invited former Prime Minister of France Dominique de Villepin to visit Armenia in the nearest future. 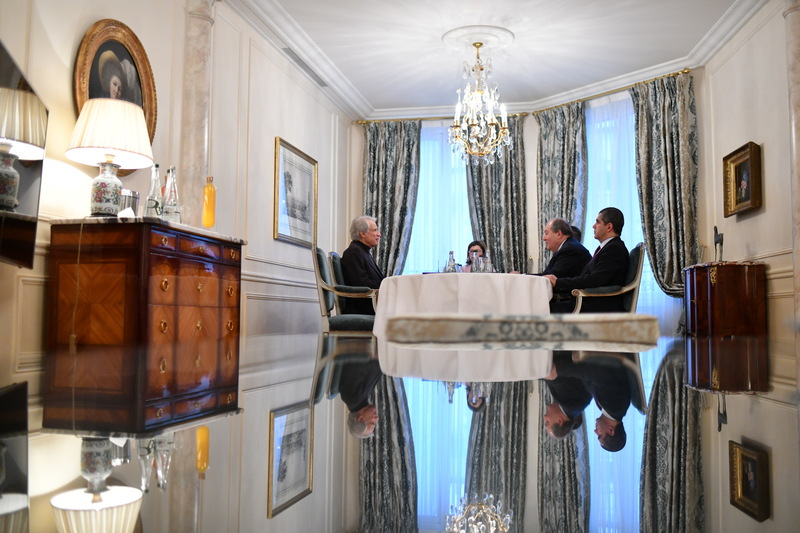 The invitation was accepted.